After yesterday’s announcement that the Oregon Trail Rally will switch to the newly formed American Rally Association, there was a quick response from the organizers of the Rally in the 100 Acre Wood that they would remain under the existing Rally America sanctioning. We would like to announce that Rally in the 100 Acre Wood will be March 17-18, 2017 and will be Round 2 of the Rally America Championship. The 100AW group is starting its planning now and hopes the sanction has little bearing on who can come to the rally this year. It will be the same great event we always have. There are quite a few things still up in the air and we hope you take that into consideration before sending comments, suggestions and questions about how things will go in 2017. We will let everyone know when we know things like entry fees, contingencies, times, and who’s coming. Things we do know is that we will need as many volunteers as ever and that competitors should bring all their tires! So where does that leave us today? Well, so far the official count is 5 rounds in ARA to 2 in Rally America if you go by official announcements alone. However reading a bit into it you’ll see that the 100 Acre Wood announcement states it is the 2nd round in next year’s Rally America Championship with dates in March. I think it should be safe to assume that with 100AW saying it is the 2nd round means Sno*Drift will remain with Rally America as well. Additionally earlier this year it was announced that the Colorado Rally has been resurrected and will also be run under the Rally America flag. So that makes 3 official announcements for Rally America. The one big question mark is the upcoming Lake Superior Performance Rally (LSPR) which has been silent so far. Rumor on the street is that LSPR will announce sometime soon that they will also remain with Rally America for 2017. So now we sit at an interesting crossroads with a 5 to 4 split in national championship events. So if the above speculation is accurate, then that means rallying is experiencing a fracturing similar to what some might say happened with CART and IRL. I think similar to the IRL at the time, the American Rally Association had assumed or at least hoped that once the majority of events made the move to ARA that those that remained would see the writing on the wall and move too. The coup would have then been complete and everyone would ride off into the ARA sunset while Rally America licked its wounds and folded. That obviously didn’t happen. So what can we expect in 2017 and beyond? Thankfully rallying is actually nothing like CART and IRL and can’t really be up ended in the same fashion. For one thing there is no big TV deals to compete with, or an event as iconic or big as the Indy 500 that everyone wants to be at. Additionally the rules are such that most cars will be able to run in both series as they wish without any changes. The reality is that all these rally events will still run regardless of sanctioning body, and the majority of drivers and cars you see at today’s events will probably be in the same events next year. Let’s face it. Even though most fans recognize the big names, the vast majority of entrants at any rally are regional. The biggest challenge for 2017 will likely be with additional costs to the competitors by way of licensing. Each sanctioning body requires licensing. So a competitor that last year competed at 100 Acre Wood and STPR would have paid for just one license will now probably need two. In the grand scheme of things it isn’t a huge amount of money in comparison to what it takes to properly run a car at a racing event, but every bit counts for small teams that scrape up what savings they have to have fun in the woods and put on a show for us fans. Of course many will also wonder what will happen with Subaru, Ford, Toyota, or Honda as manufacturers and sponsors. Subaru stopped being a title sponsor for Rally America after last year, so they have no real ties to any particular sanctioning body and should be able to run like any other competitor provided their car/team met the rules of that body. So unless either sanctioning body requires some sort of exclusivity with a manufacturer team, we could see Higgins and Pastrana at both RA and ARA events next year. 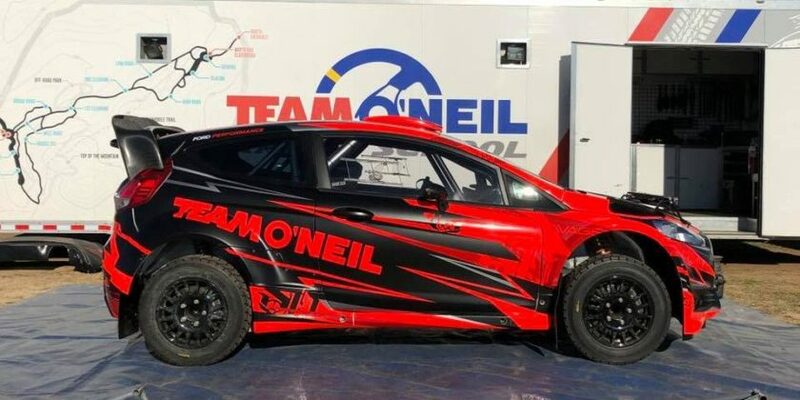 I’m not certain about the others, but I’d assume they could compete under multiple sanctioning as we’ve seen Ryan Millen in the Toyota Rally RAV4 at RA, NASA, and California Rally Series events. Sponsorship and contingency payouts are a bit harder to predict, but one possibility is the bigger sponsors could directly offer individual event sponsorship instead of going through the sanctioning bodies. Or maybe they simply sponsor both bodies but split the amount by offering half to each. Contingency payouts might also change. With such a short championship, Subaru could alter their contingency system such that they continue to offer per event winnings regardless of sanctioning body, but remove the bigger championship payout at the end of the season. This is all speculation on my part, but the main thing is that there are a lot of potential options that wouldn’t spell doom and gloom for either sanctioning body. Now if someone like Subaru picked one body over the other then that might have a deeper impact, but we won’t know until they make some sort of announcement to that effect. For me biggest question mark is how will this affect the championship(s)? 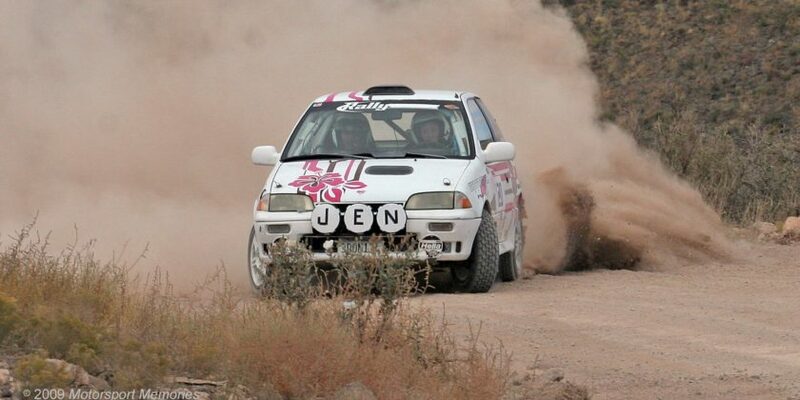 I remember back in 2012 when Rally America had only 6 events. It just didn’t feel like a proper championship with so few. Now with the split, one championship with 5 and the other 4 looks even more bleak than during the great recession. The global image of rallying in the states will definitely come out of this with a bit of a black eye for the short term at best. Long term both sanctioning bodies will need to add events if their championship is going to have any credibility, whether this is done by adding new events or by existing events moving the scales dramatically to one side. There could be the proverbial light at the end of the American Rally Split tunnel though. One competitor told me that they actually liked the idea of two competing championships. I initially balked at the idea, but then couldn’t help but somewhat agree. Why? Because as the great capitalists we are here in America, competition can actually be a good thing. It could potentially bring costs down, spur innovative ideas in promotion, improvements on fan experience, better timing and scoring, better safety, or any number of things. So maybe this split isn’t so bad after all? We’d love to hear your thoughts on the American Rally Split and what you think the future holds for the sport here in the states in the comments below. I’m not sure if there aren’t parallels to the CART/IRL split. Keep in mind that the so-called split really began in 1978 with the separation from USAC. Yes, CART ran successfully for over a decade under their own sanction with the exception of the 500 which was under USAC sanction. The angst and egos continued to grow throughout the 80s culminating in what most people think of as the beginning of the split in 1996. I worry that we may see evolution of the rulesets for the two series diverge if egos continue to be a barrier to productive progress in North American rally. The political turmoil in your country currently makes Canada and CARS seem like a bastion of stability and sanity. From a complete outsider’s perspective CARS and Rally America have not been able to work together since Bill Fogg took over RA. CARS and the ARA seem much closer in rules, club-focussed sensibility and mutual respect. Cross-border cooperation between the oldest and the youngest sanctioning bodies could be the secret weapon that will tip the balance toward ARA as the dominant American championship. Plot twist: One of the events joins the FIA’s NACAM Rally Championship.